For Google, its entire product lineup is just a big series of A/B experiments. Have you ever heard the expression, “Don’t put all your eggs in one basket”? It’s a saying that extolls the virtues of diversification—always have a “Plan B.” Judging by Google’s messy and often-confusing product line, it’s something the company takes to heart. Google likes to have multiple, competing products that go after the same user base. That way, if one product doesn’t work out, hopefully the other one will. 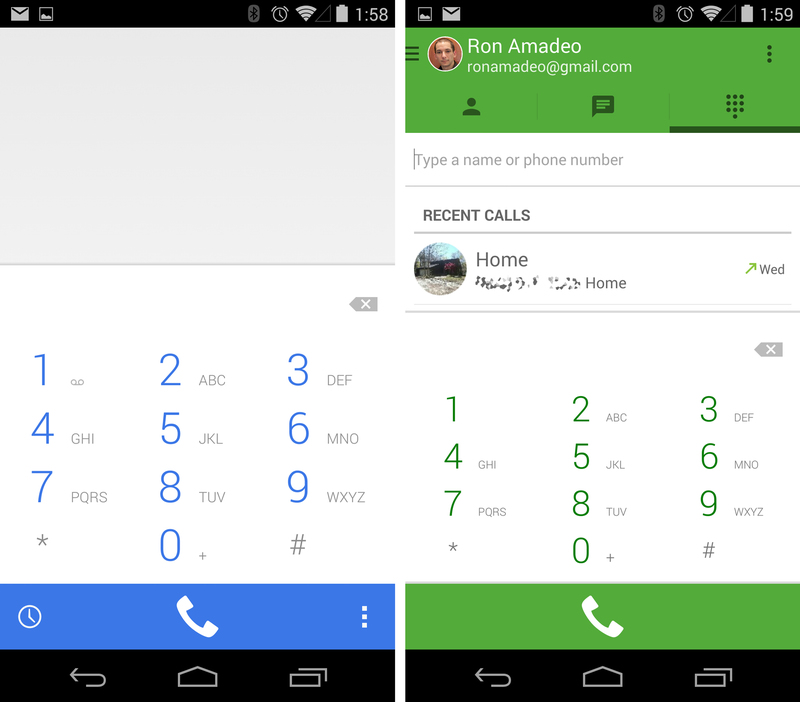 Enlarge / Google Dialer and Hangouts Dialer. But this is typical of how Google operates. The company’s actions have shown it doesn’t really believe in focusing on a single solution to a problem, regardless of how much easier that would make things for users. It has to deal with external competitors in all sorts of areas, and Google seems to see no reason why competition can’t also come from within—Google products competing with other Google products. It’s almost like every product category is just a big A/B experiment for Google. As Google’s search engine constantly gathers data from the Web to learn and improve, Google the company works much the same way. It provides multiple solutions to a single problem and expects the best one to win out over the other. We’ll use instant messaging as an example again: Google had four texting clients, all of which took different approaches to solving the problem. Google Talk was a traditional instant messenger client, along the lines of AIM. Google+ Messenger was an IM client as part of a social network—Google’s version of Facebook messenger. Messaging (Android’s stock SMS) app was a bare-bones cellular SMS app. 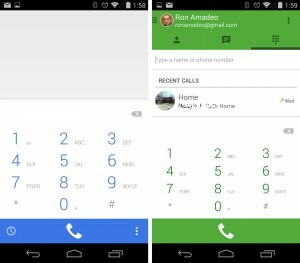 Google Voice flipped the SMS system on its ear, allowing users to own a phone number, view voicemail, and read and send texts from the Internet. Four different approaches to the same problem is messy, but it ensures that no matter which method ends up being the winning one, Google will have a competitor in that area. It’s tough for users to figure out which one they should use when they just want to ask a friend to go out for a drink, but Google doesn’t seem to worry about that. It’s happy as long as users pick one of its offerings. Though messaging is the most obvious, the company doesn’t just do this for texting apps. For nearly every product category Google cares about, it has multiple projects competing with each other. Android versus Chrome OS—end up with two winners? Great! Most people look at this and say, “Why does Google make two completely different operating systems?” Well just like with instant messaging, the Chrome/Android hydra makes it so Google is set for operating systems no matter which way the wind blows. Is the future of computing an app-based smartphone-style OS, or an Internet-dependent cloud OS where everything is a Web app? By taking both approaches, Google gets to cover its bases and adjust resources as needed. In this example, both OSes have been doing very well. Chromebooks are a big enough threat to Windows that they’ve earned the honor of being targeted by Microsoft’s FUD cannon, and Android has been hovering around 80 percent worldwide market share for smartphones. Making two OSes is a lot of duplicate work, but they’ve started to blur together recently. Android’s Google Now has made it to Chrome. Chrome OS’ notification panel looks like it was ripped right from Android. Android’s primary browser is Chrome. Chrome OS can now run Android apps. Android L’s new recent apps allow Chrome’s browser tabs to show up like individual apps, making Web apps a first-class citizen. Chrome typically sticks to desktops and laptops, and Android is usually on a smartphone or tablet, but the hardware has started to blur together, too. We’ve seen Android on a laptop (and tons of hybrid tablet/laptop devices) and continual work toward a Chrome OS tablet. Google is also using Chrome and Android to conduct an A/B test on how much OEMs can modify its code. Android is a modification free-for-all, while for Chrome OS OEMs are not allowed to change the underlying code or interface. Google has seen first hand how this affects updates. Android updates are all over the place with multi-month delays and often times no updates at all, while Chrome OS’ unmodified code allows Google to run a central update system with day-one updates for everything. With the data from this A/B test, Google has deemed Chrome OS to be the superior update situation, so it will be applying the same strategy to Android Wear, Auto, and TV. With those, skins are not allowed, and Google will be running a centralized update system.